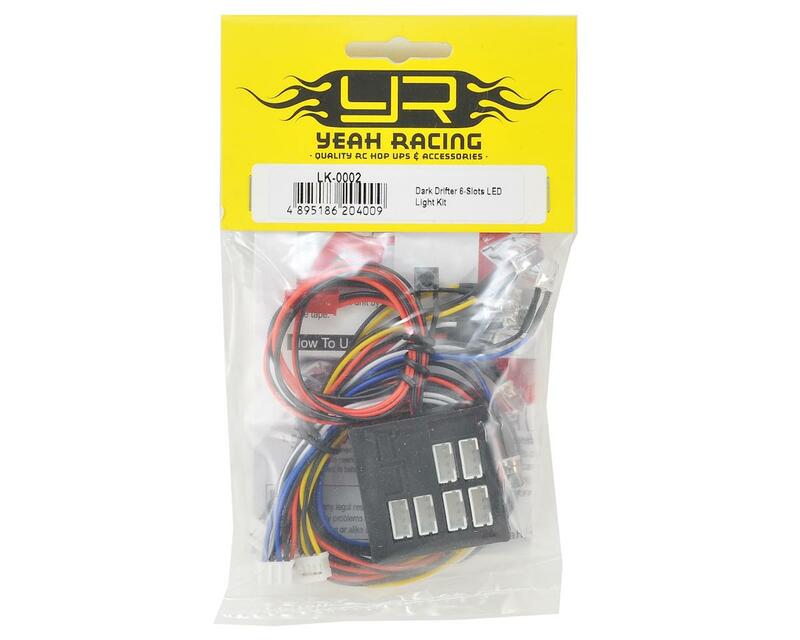 The Yeah Racing Dark Drifter 6-Slot LED Light Kit is an easy to use light kit that will bring your ride to life. The included controller features six inputs, four that are always on, and two that flash. The package also includes white, red, blue and yellow 5mm LED strings making this an all inclusive package. 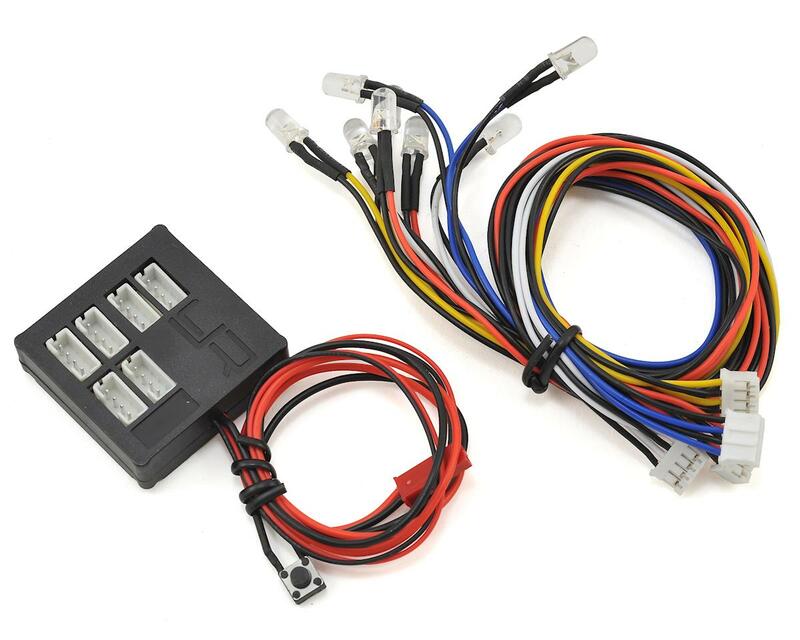 This system is a great for drifters and even crawlers as the flashing light ports and blue/yellow LEDs will allow you to configure the lights in a flashing KOH style setup. Good set of lights very bright and some fun strobe patterns.HOWEVER I have had the blue lights blow out as soon as they were turned on. this is not the first set of lights to blow out out of the box. I also notice when powering off all the lights begin flashing after disconnected from power source. Overall ok lights.